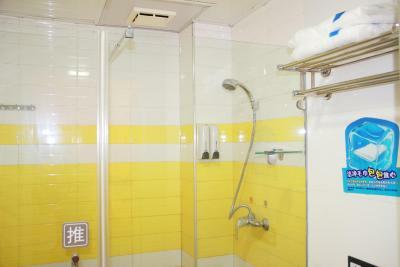 The shower was fantastic and plenty of hot water, as well the bathroom was a decent size, not like a little shoe box that I have experienced elsewhere. 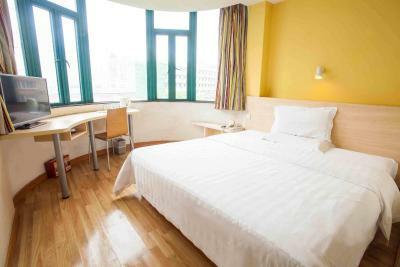 Other than that the bed was comfortable and the room very clean. I also liked the fact that I could book a smoking room! 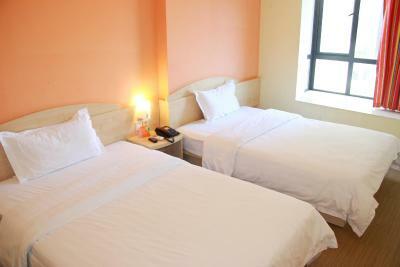 Good price/quality ratio, very cheap hotel chain in Shenzhen. 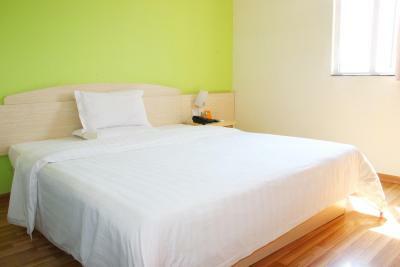 You can find better options in the city but the prices will be higher. Value for money and well located. Near metro station Shuibei. Staff speak a little bit english but that was enough. They are friendly. The room was large and clean. 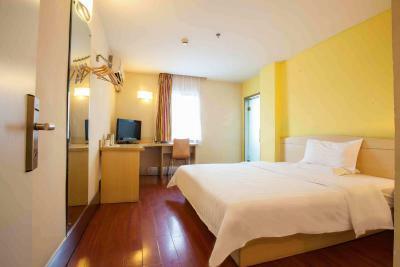 I enjoyed my stay in this 7 Days Inn. I often come in this hotel brand and I have never been disappointed. 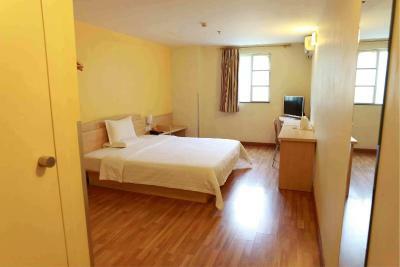 Average hotel, for this money this is what you get, some staff are rude . The location wasn't easy . It had no pedestrian walk to reach the place from metro. 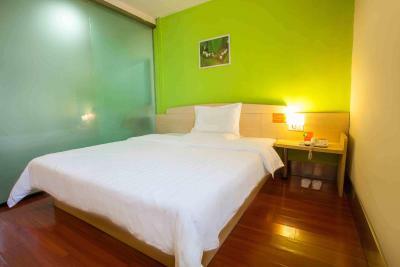 Probably you can choose other 7 days inn hotels . 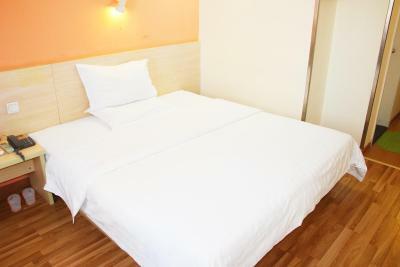 We got this for around 20 usd per night for two people. Yes, stuff was not speaking english, but you will manage that with smartphone translator or simply by hands. Dont worry. 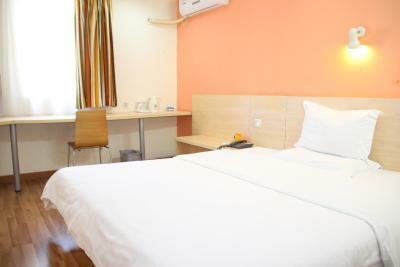 Everything was perfect, clean and with signs of luxury hotel. The room was silent during night. 7Days Inn Shenzhen Shuibei Subway Station offers cozy guestrooms and free WiFi covered in all areas. It takes 12 minutes by car to Yinhu Bus Terminal. 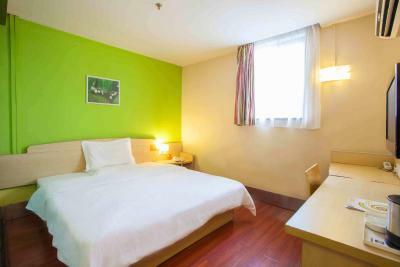 Shenzhen Railway Station is located a 20-minute drive away from the hotel. 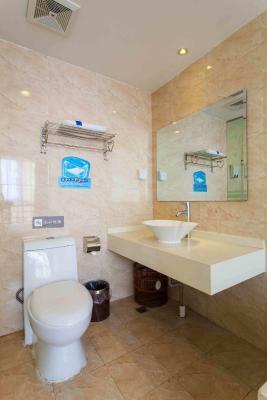 Bao'an International Airport is located 60 minutes' drive away. 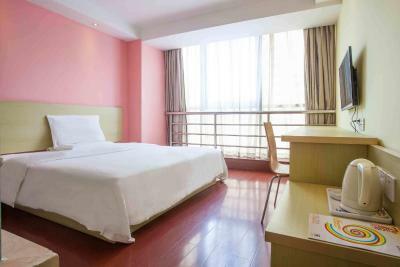 Each room at this hotel is air-conditioned and features a TV with cable channels and a working desk. 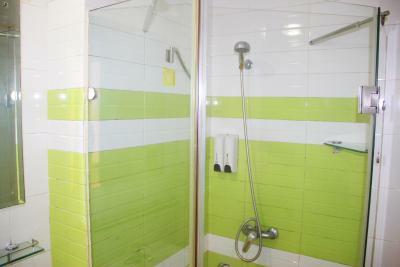 All rooms include a private bathroom, fitted with a shower and a hairdryer. You may relax in the lobby. 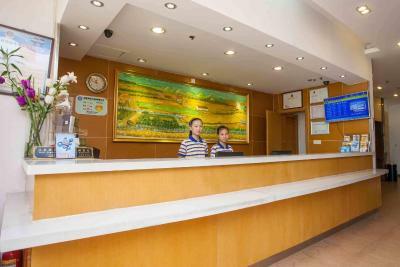 There is a 24-hour front desk at this property. 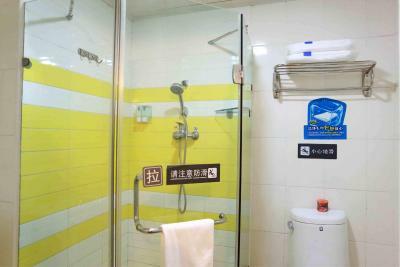 When would you like to stay at 7Days Inn Shenzhen Shuibei Subway Station? 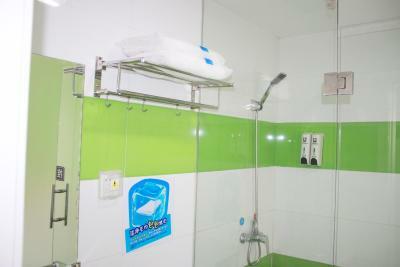 House Rules 7Days Inn Shenzhen Shuibei Subway Station takes special requests – add in the next step! 7Days Inn Shenzhen Shuibei Subway Station accepts these cards and reserves the right to temporarily hold an amount prior to arrival. Need more direction. Internet bad. Not a lot of restaurants and convenience stores near the hotel. The metro station is near (approximately 500 m) but the journey between this and the hotel is not very convenient especially if you have a lot of bags. It would have been nicer and more comfortable to have at least a small chest of drawers instead of living out of the suitcase and the air-conditioner was very noisy. Air-conditioners are old and noisy. It's hard for sensitive visitors to fall sleep. Far from the metro station. Need to take a taxi. 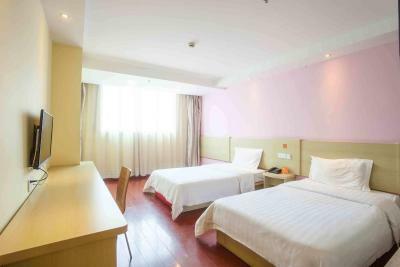 It's far away from Shenzhen city center and main attractions in the city, so if you are going to visit Window of the World and Sea World, you should find another hotel in Nanshan/Futian.